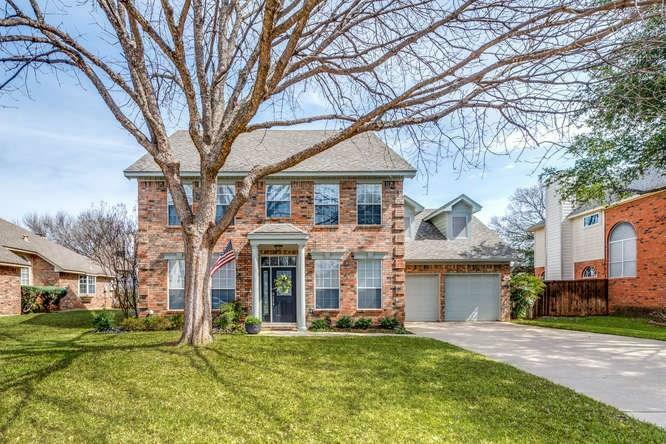 This well-maintained home features 4 bedrooms, 2.5 baths, 3 living areas, 2 dining areas and a 2 car garage. Updates include real wood floors downstairs plus granite counters in the kitchen and master bath. The large island kitchen is great for entertaining friends and family. Upstairs game or study includes built-in cabinets and desk. Enjoy outdoor living with a large patio and salt water play pool with water feature. Seriously, the pictures donât really show how awesome the backyard is. Itâs really something you must see in person to appreciate!! !